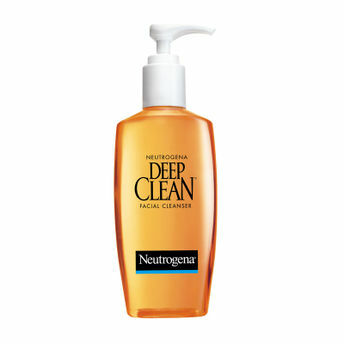 Give your skin the daily dose of pampering and care with Neutrogena Deep Clean Facial Cleanser. It rejuvenates your skin by cleansing the pores and effectively dissolving dirt, grime, oil and makeup. It also removes the dead skin cells and leaves your skin feeling soft, supple and healthy. The advantage of deep cleansing is naturally glowing and radiant skin that feels fresh. Nykaa Offers during Nykaa's Summer Beauty Sale from 10th - 19th April 2019. Explore the entire range of Cleanser available on Nykaa. Shop more Neutrogena products here.You can browse through the complete world of Neutrogena Cleanser .Alternatively, you can also find many more products from the Neutrogena Deep Clean Facial Cleanser range.